There are a lot of Purdeys on the market today. Some are worked over, some are worn out and some are overpriced. A lot are of them are all three, and that’s why so many of these guns have been looking for buyers for so long. But every now and then a real legit Purdey pops up. When it does, it usually sells right away. This is one of these nicest vintage Purdeys I’ve seen in a while. It has condition and it was reasonably price. That’s why it sold in fewer than 12 hours. 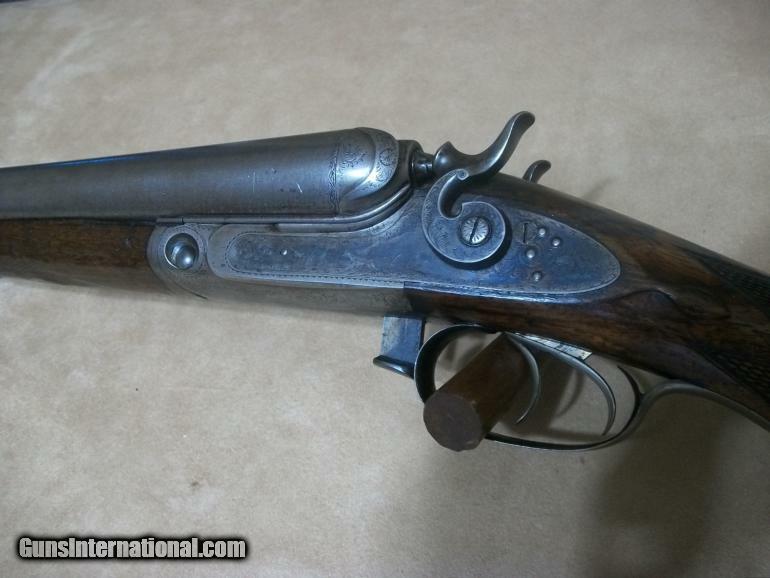 From what I can tell, this gun was made in the late 1860s, early 1870s. 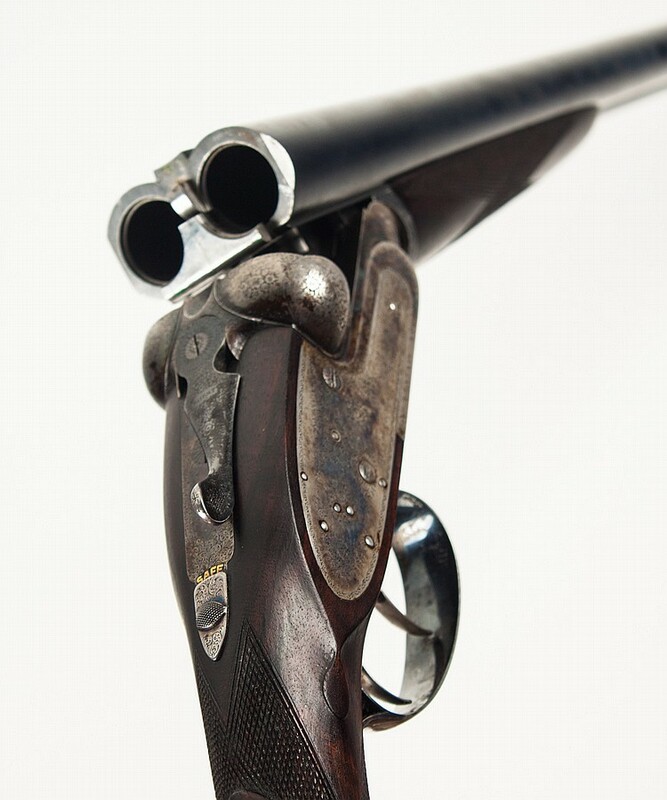 Westley Richards invented the toplever in the 1862 and James Purdey patented their underbolt in 1863. The Scott spindle used to connect the two was patented in 1865. The gun you see here uses all three, so it has to be post 1865. 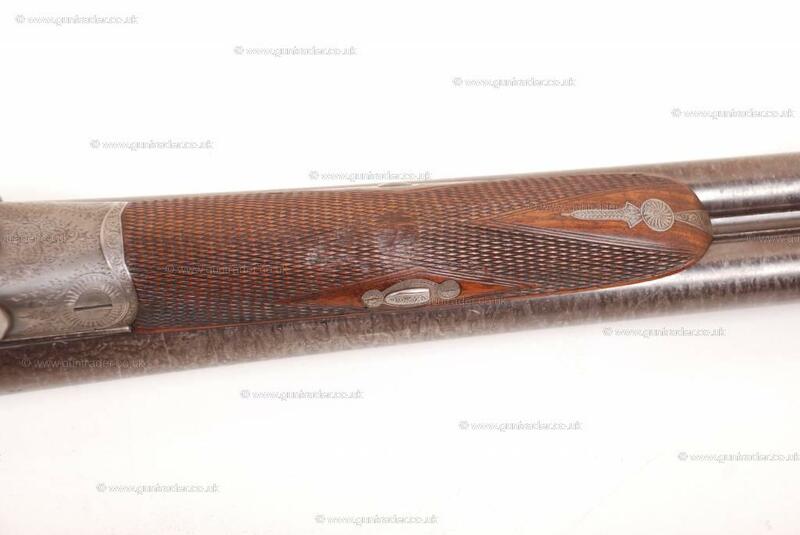 This gun also has a keyed forend, a feature from the percussion era that Purdey stop using when they switched to the Anson-patent forend release (introduced in 1872), and bar-action locks, which Purdey was just switching to as it developed a more modern look for its guns. One thing it’s missing is drop-points. This is pretty common on earlier Purdey. The sideclips are interesting. 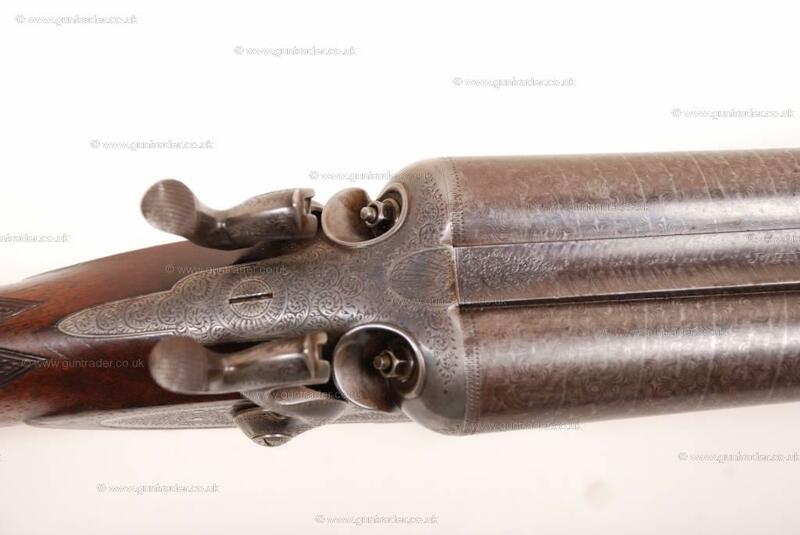 You don’t see side clips on a hammergun, and this has to be one of the first doubles Purdey used them on. 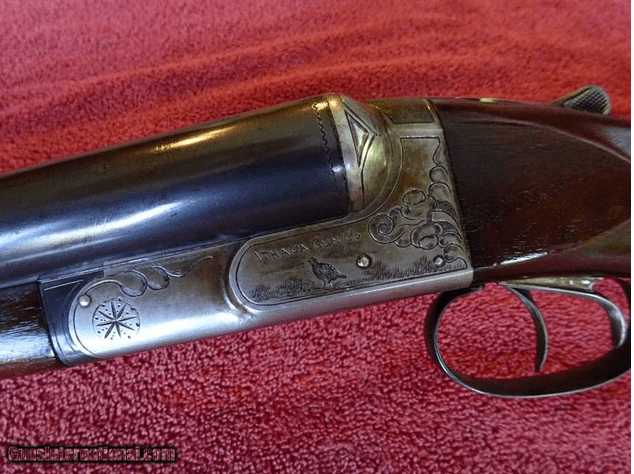 James Purdey 10 Bore SxS Hammer Gun: Rare light weight (8 pound) hammer game gun. Outstanding all original condition with very nice wood and good amount of case cloring remaining. Excellent 31 inch fine damascus barrels.Rare side clips and top lever. 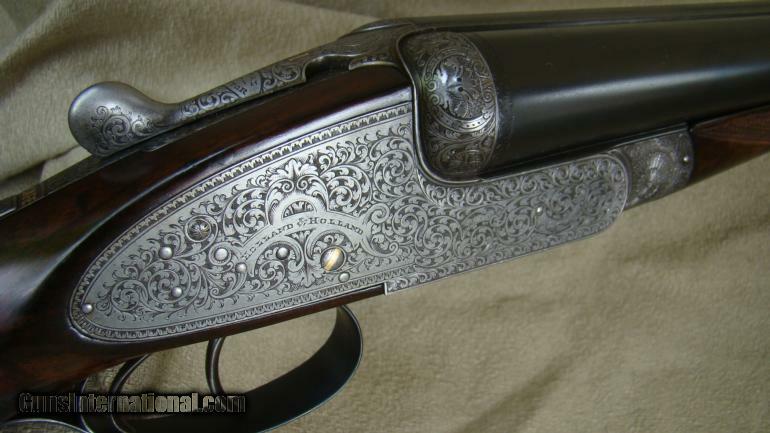 Very nice engraving and checkering.Proper 2 5/8 inch chambers with open chokes. 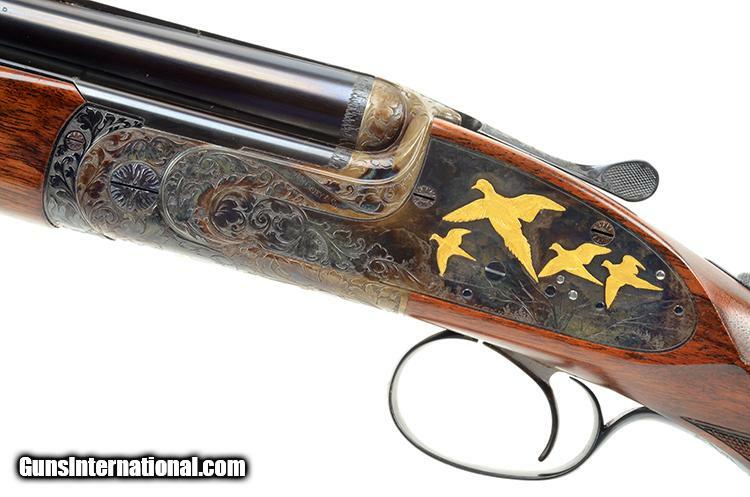 Throws outstanding patterns and feels like a 12 bore. Excellent shootable dimensions and 14.5 inch LOP. Very little lifetime use and overall excellent condition. 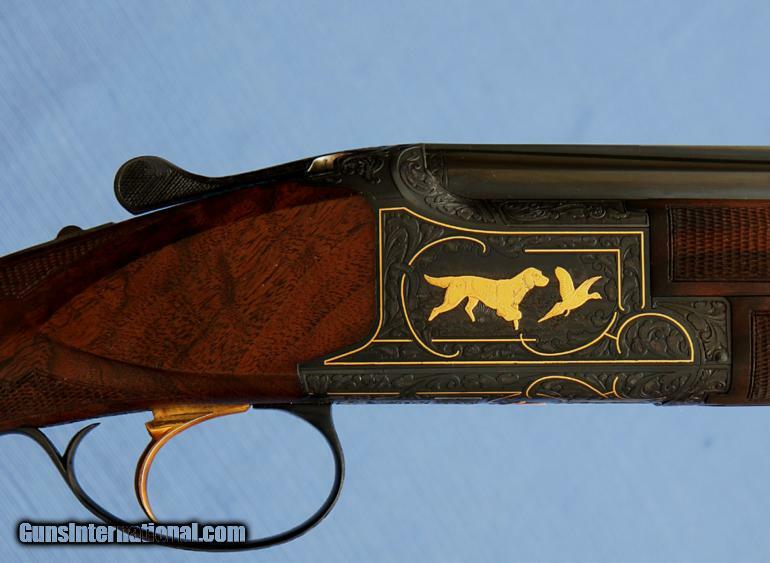 John Dickson & Sons is Scotland most famous gunmaker. 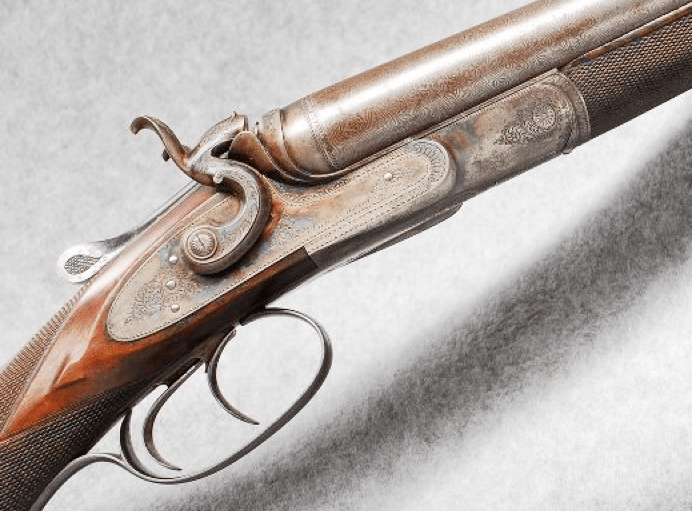 Established in 1820, Dickson first made a name for itself in the 1840s with their fine “Improved Two Grooved Rifles”, a modified version of the British Army’s Brunswick rifle. 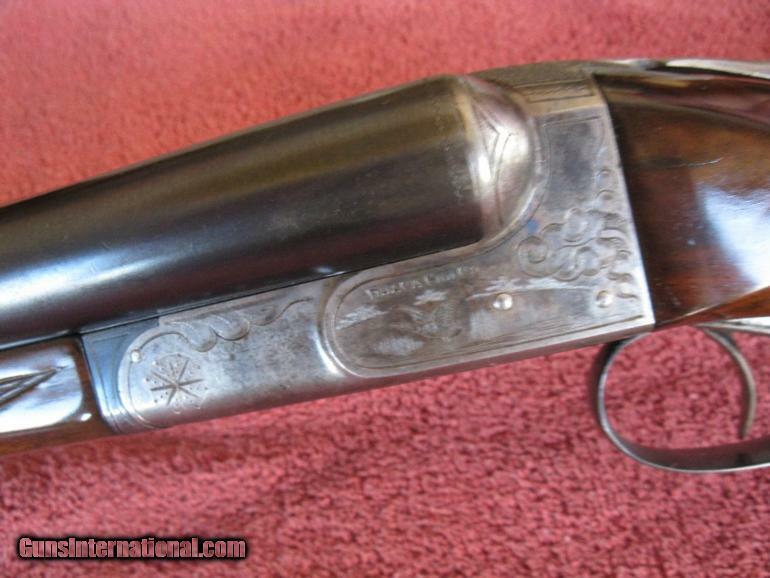 Later in 1880, the company patented their famous Round Action trigger plate shotgun. In between, they built the 10 bore hammer gun you see. 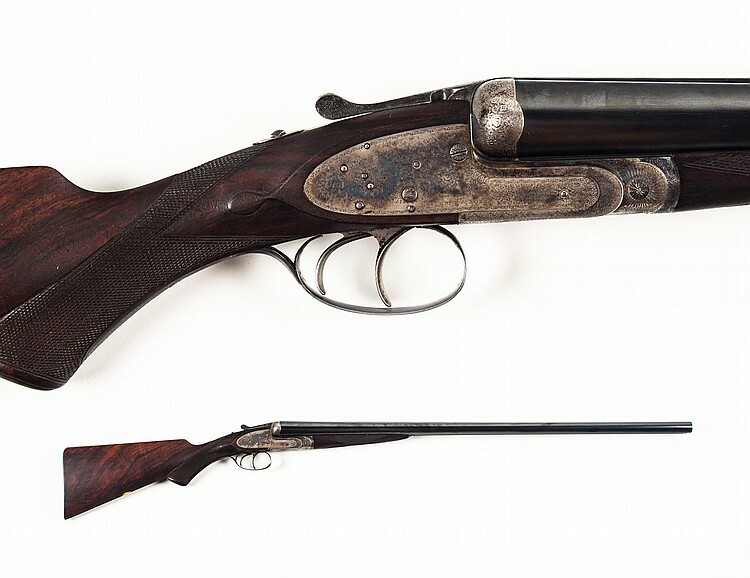 This double was sold by Dickson in December, 1875, and it looks very original. 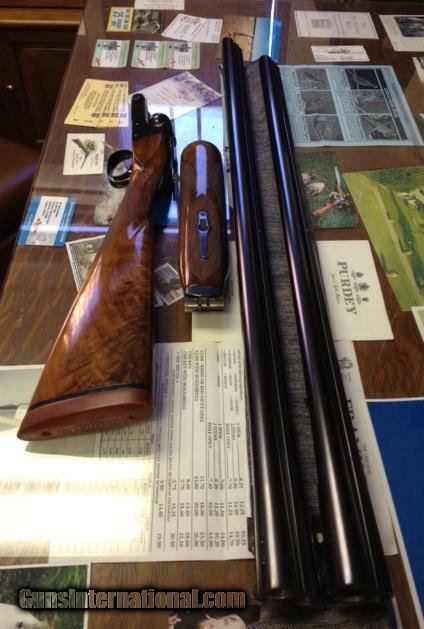 As you can tell from the specs, it’s big, heavy gun, probably made for pigeon shooting or waterfowling. I would love to get my hands on it and find out how those 32″ barrels feel. 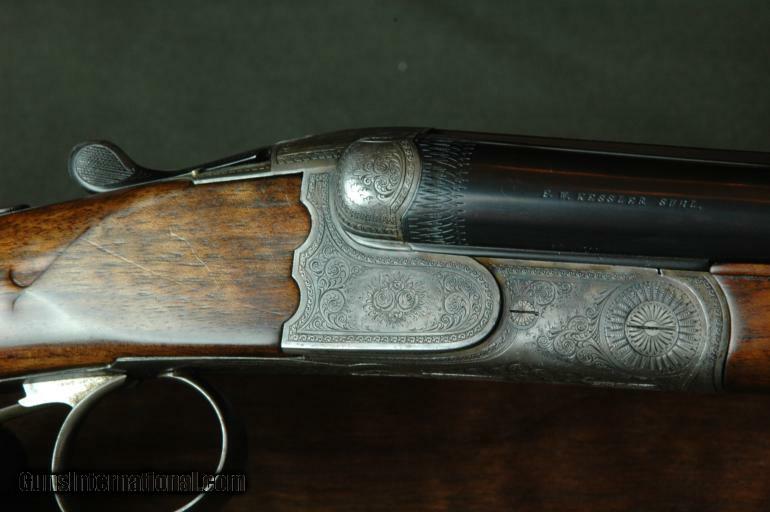 Beautiful Belgium Browning Diana Superlight 12 gauge: 26 1/2″ bbl, 2 3/4″ chambers, im/m, 14 1/4″ LOP, 1976 gun. 100% original, excellent condition, barely fired. M. Dodson engraved, striking wood. There were only a handful of these beautiful Diana superlights made, it is difficult to find one without pad. Trades considered. 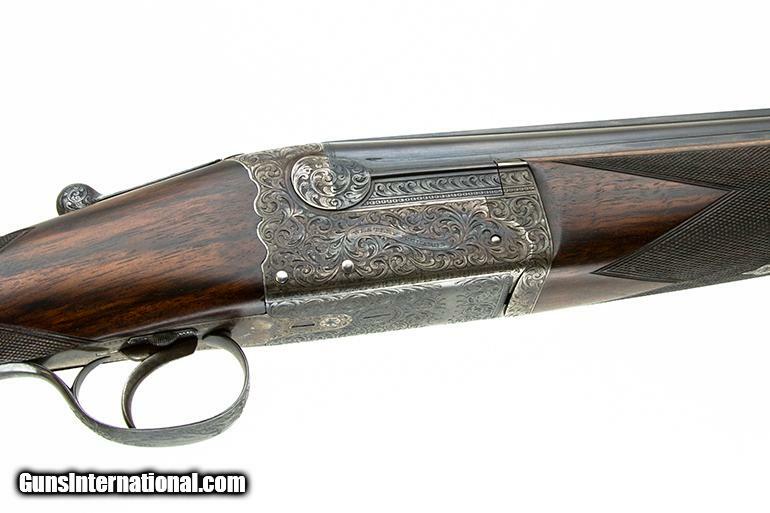 A big gun, a small price – that this Neumann double barrel shotgun. 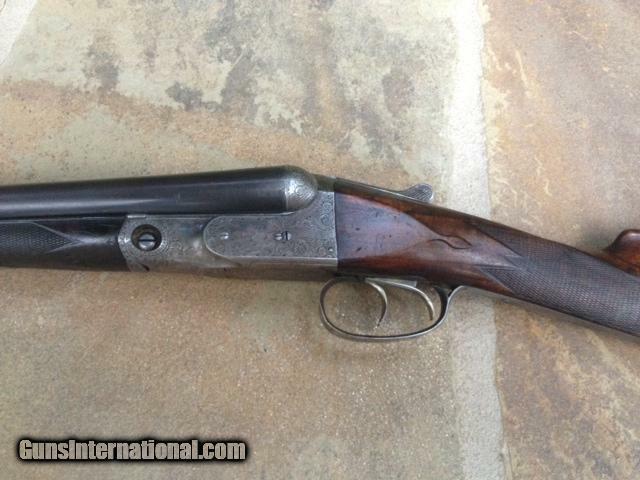 This SxS was made in Belgium in the ’50s, and its a well-made shotgun. If you’re looking to push a lot of lead, it will do the trick. Weight: 10 lbs. 10 ozs. 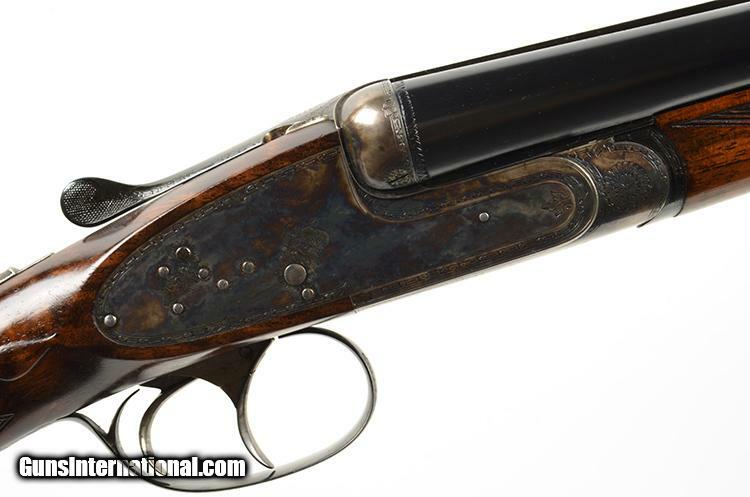 Ten gauge Purdey shotguns are not very common, so when one pops up, it catches my attention. The one you see here is at Alex Cooper Auctioneers in Towson, MD, and it goes off today, September 28 @ 1:00 PM EST. Interestingly, this one is nitro-proofed for 1 1/2 oz loads. That’s the same amount of lead than a 12g, 3 1/2″ shell throws. 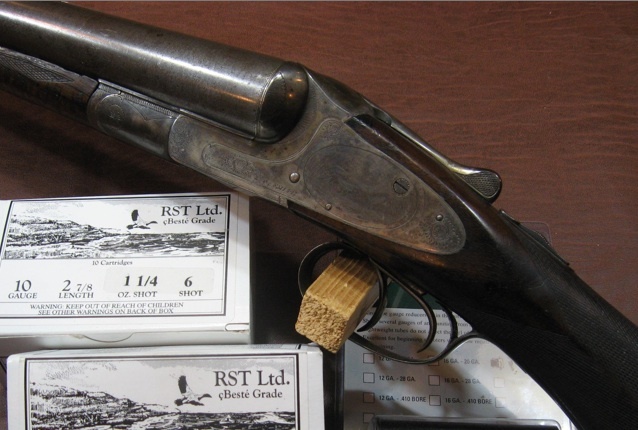 But a ten gauge does it better and throw better patterns because of its larger bore size. It’s also built to handle the recoil, so it will do less damage to you, and itself, when you pull the trigger. 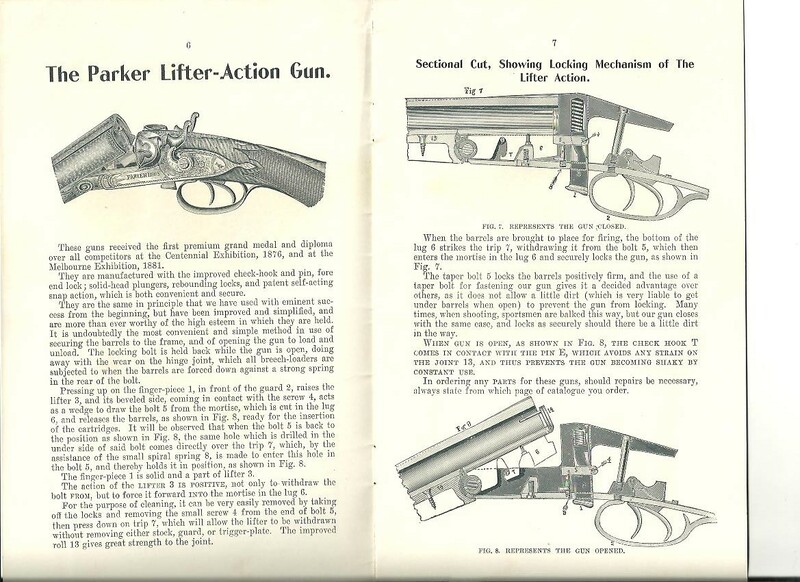 When it comes to hammerguns, Parkers made on their lifter-action have always been one of favorite designs. 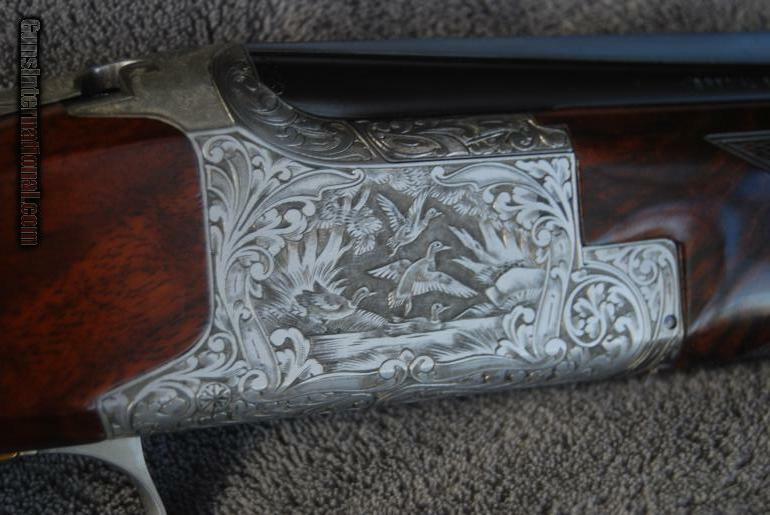 And I think graded lifters are some of the most beautiful shotguns ever made in America. Just check out this Quality 6, A Grade to see what I mean. The Quality 3, D Grade you see here is another great looking example. Parker introduced this model in 1875. Price at $100 (a ton of money back then, btw) it was one of the company’s best sellers. It’s easy to see why. 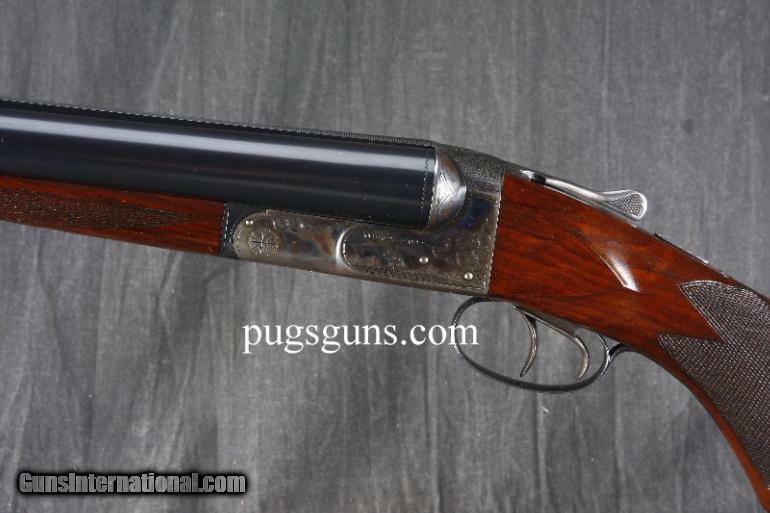 HIGH QUALITY 16 GAUGE DOUBLE BBL HAMMER FRENCH MADE SHOTGUN: 28″ bbls choked full and modified, some pitting in both bbls, exterior finish is quite nice with a considerable amount of Damascus pattern showing. 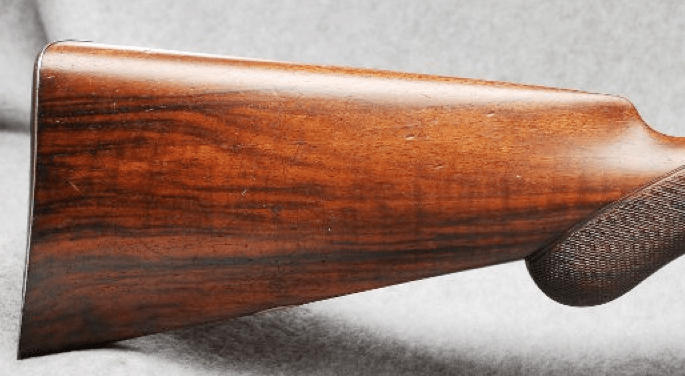 Back action locks have vivid case colors present, orig nicely grained wood shows a considerable amount of orig varnish, some wear to the checkering, 13″ pull, underlever opener, steel buttplate. Nice, clean and quite an attractive little gun. Price: $1,650. 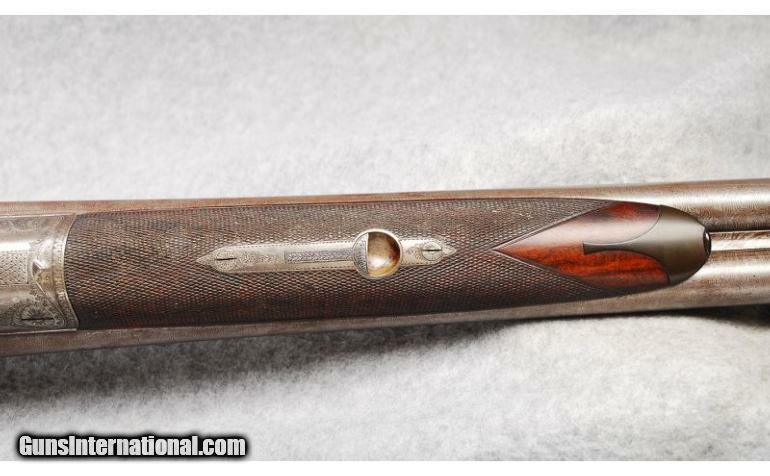 Auction alert: Wow -10g Parker Bros. Quality 6, A-grade, lift-action hammer shotgun…. 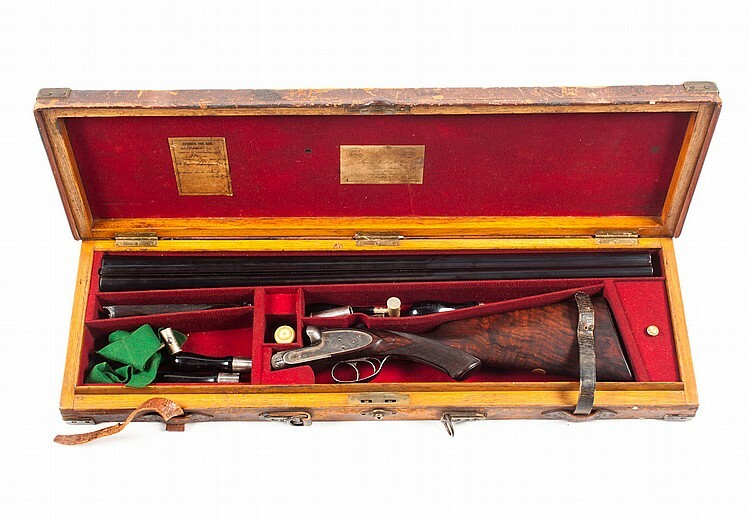 Parker Bros. was one of America’s oldest, largest, and most innovative gun makers. 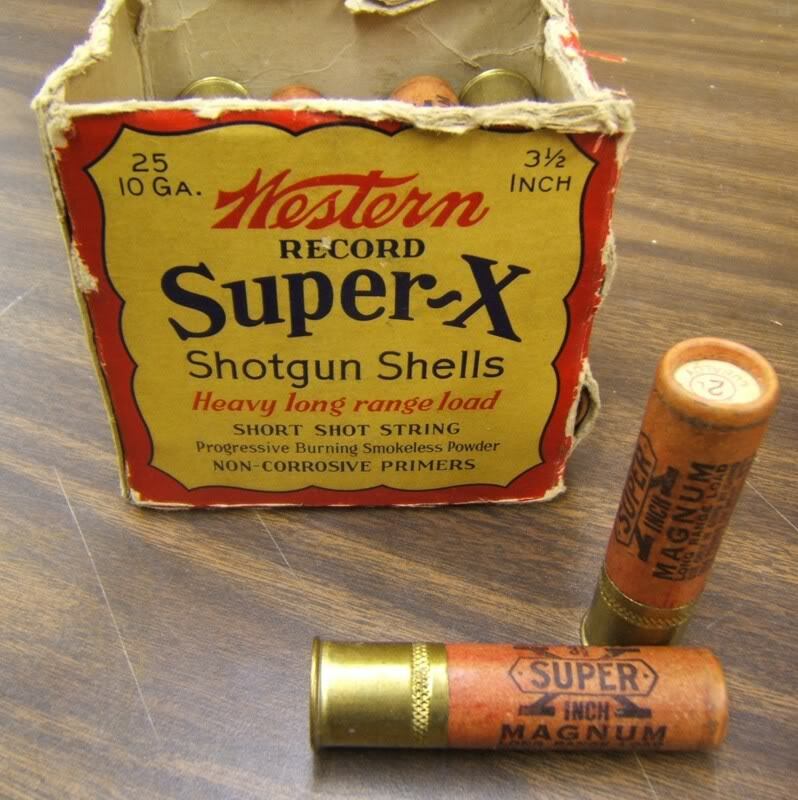 From 1869 to 1942, the company turned out over 240,000+ shotguns. The one you see is built on the Parker Lifter-Action, one of the company’s earliest designs. It’s an A-grade, and it was the top-of-line Parker back when it was made in 1876. 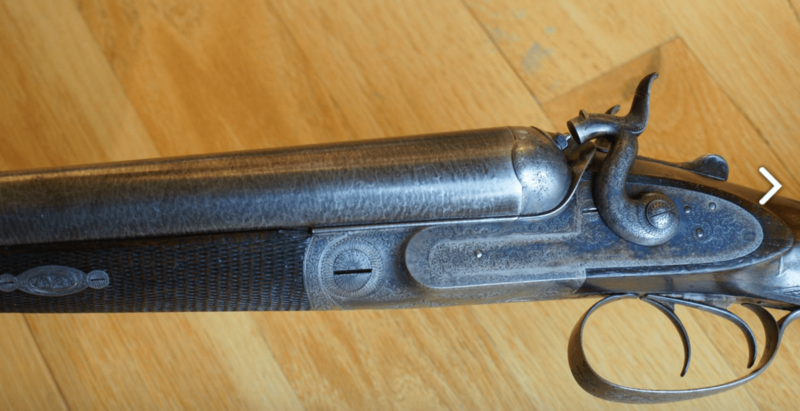 As a 2-barrel set in what looks to be its original case, it’s a fantastic shotgun and important piece of American gunmaking history. 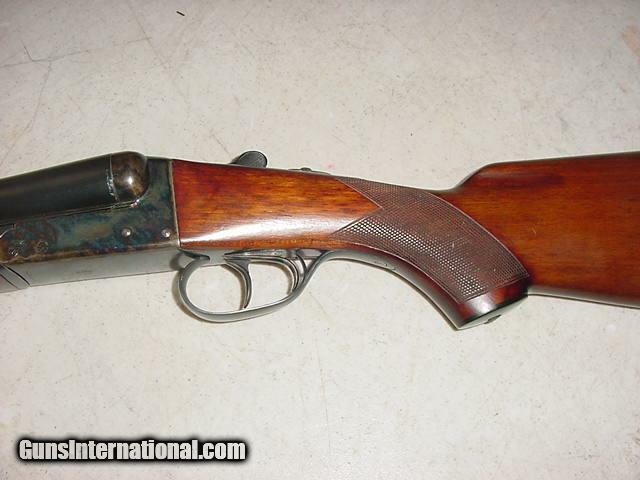 10 gauge Parker Bros, Quality 6, A-grade, Double Barrel Lifter-action Shotgun: 6801 mfg. circa 1876. 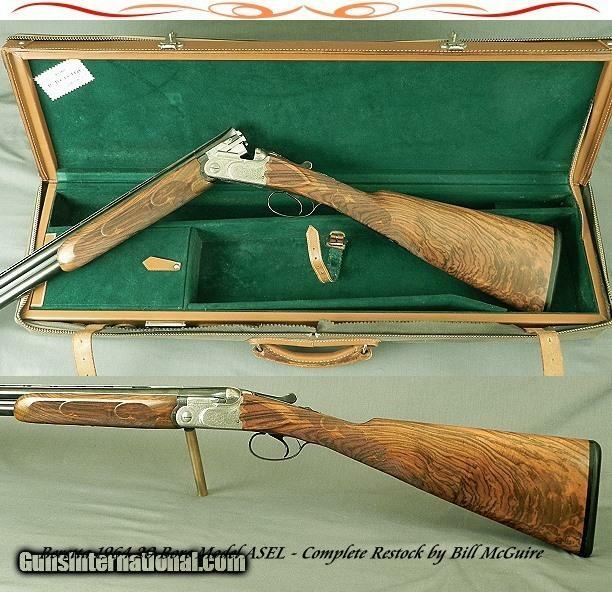 Quality 6 SxS shotgun with two sets of Damascus steel barrels and case in 10 ga., under lift opened hammer action, color case hardened side plates, 1st barrel set 32 in. 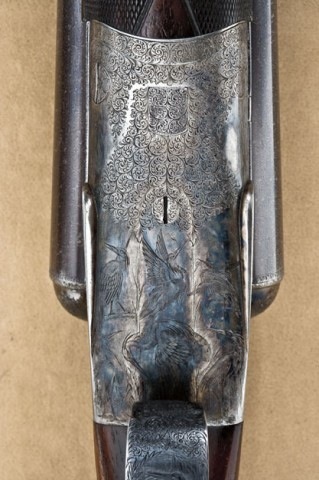 Damascus steel, 2nd barrel set 28 in. Damascus steel, DT, EXT, checkered PG walnut stock with skeleton steel buttplate and splinter forearm, LOP 14 1/4 in. over wood. Here’s another hammergun that’s making me crazy: 10 gauge V Chr. Schilling. 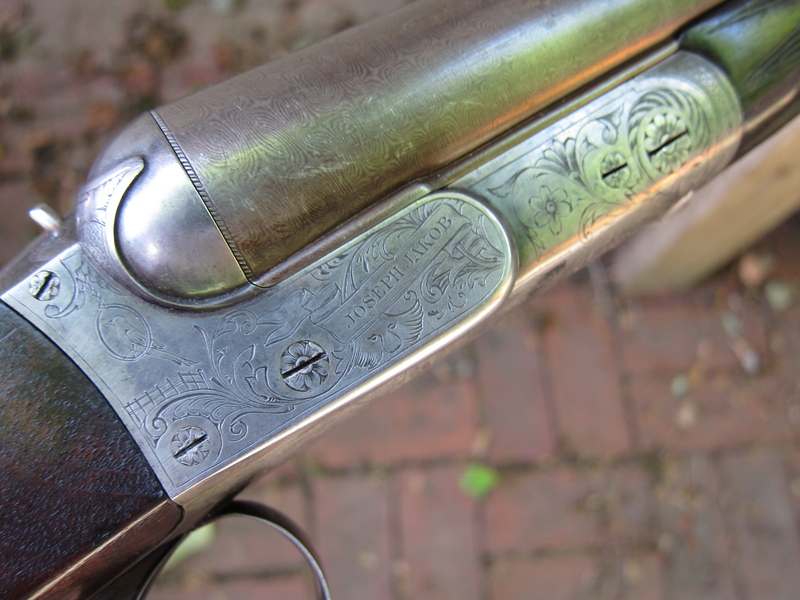 I love old double barrels like this one, especially ones with color and finish like this Schilling has. Check out the arrow-head drop points, too. Awesome. 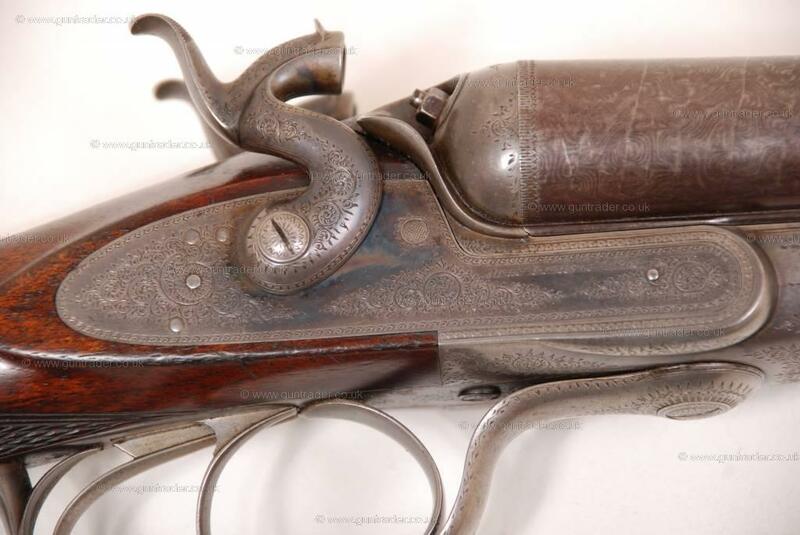 This is a big 10 gauge, probably made in the 1880s as a waterfowler. I would love to buy it, but my bank account (and wife) say I can’t own them all. V Chr. 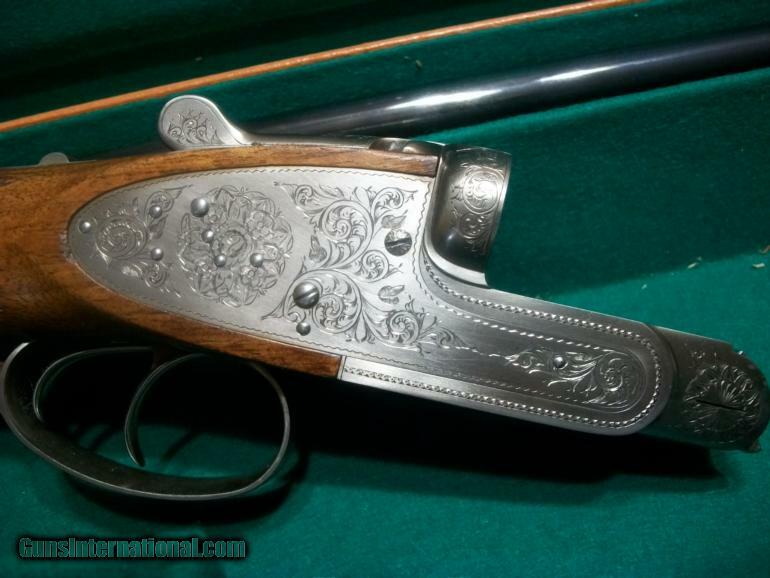 Schilling was a European gunmaker based in Suhl, Germany. 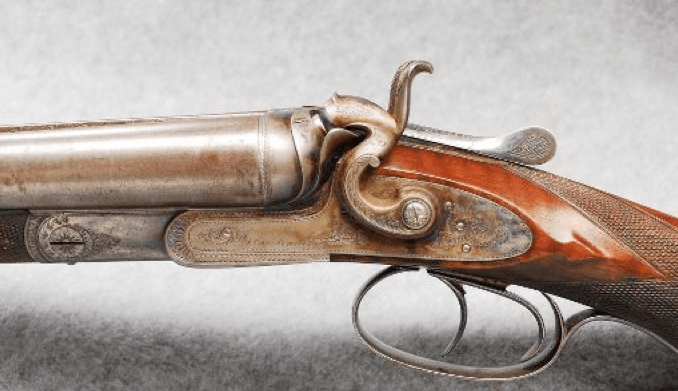 Founded in 1816 and around until the 1920s (I think), they were major players in that region’s gun trade, and they made all grades of sporting guns along with military weapons and other firearms. They also made doubles for the American firm Charles Daly. Here in America, bigger is better. 72″ big screen TVs? Awesome. Ford F350s? Love ’em. King Kong burgers? Yes, please! 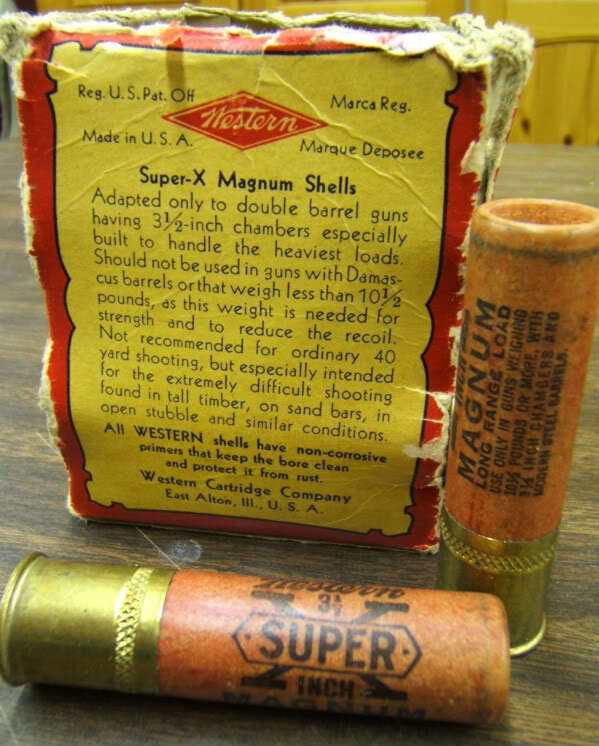 For shotgun shooters, magnum loads are right in line with this obsession. 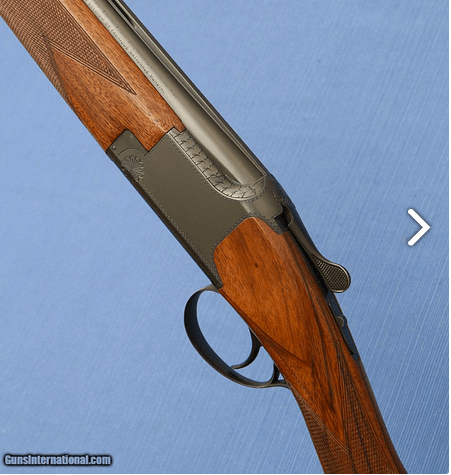 And when it comes to magnums, the 3 1/2″ 10 gauge is king. Today, you can usually find a few Ithaca NID Magnum 10s on the market. They’re usually expensive, but that’s how it goes. Nice things are never cheap. 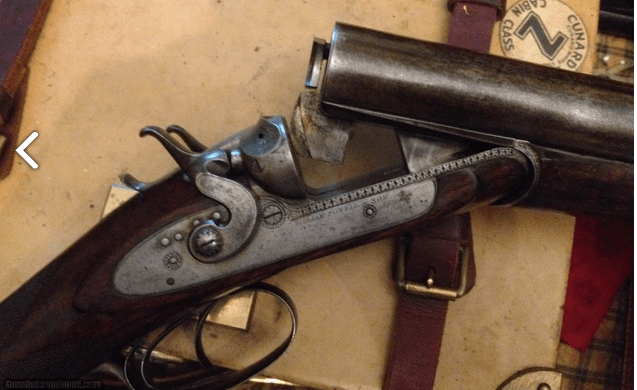 3 1/2″ MAGNUM, 32″ BARRELS, FULL AND FULL, EXCELLENT BLUE, MIRROR BORES. 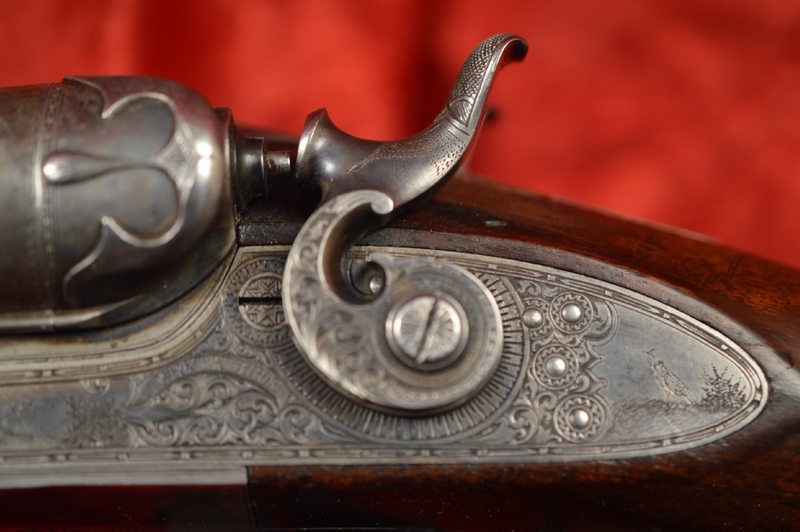 AUTOMATIC EJECTORS, NICELY ENGRAVED WITH GAME BIRDS, SCROLL, BORDERS AND STIPPLEWORK, SOME CASE COLOR, TOP LEVER TO THE RIGHT. 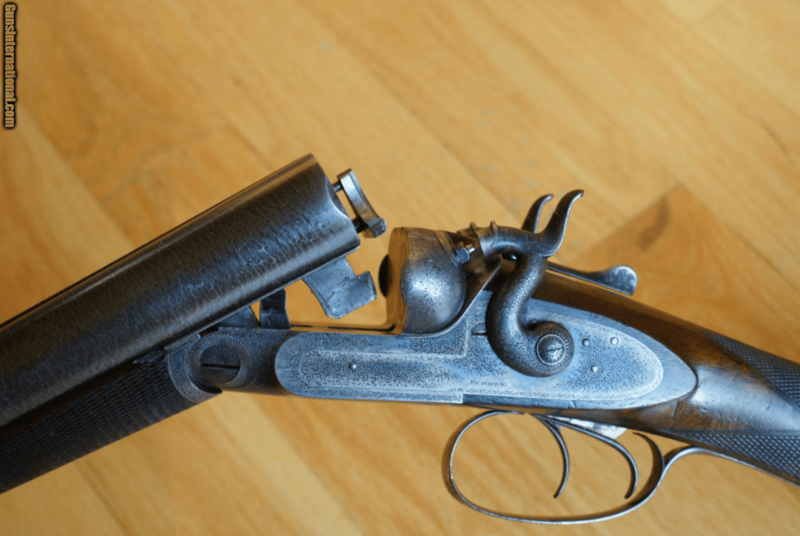 MOST OF THE ORIGINAL BLUE ON TRIGGER GUARD. 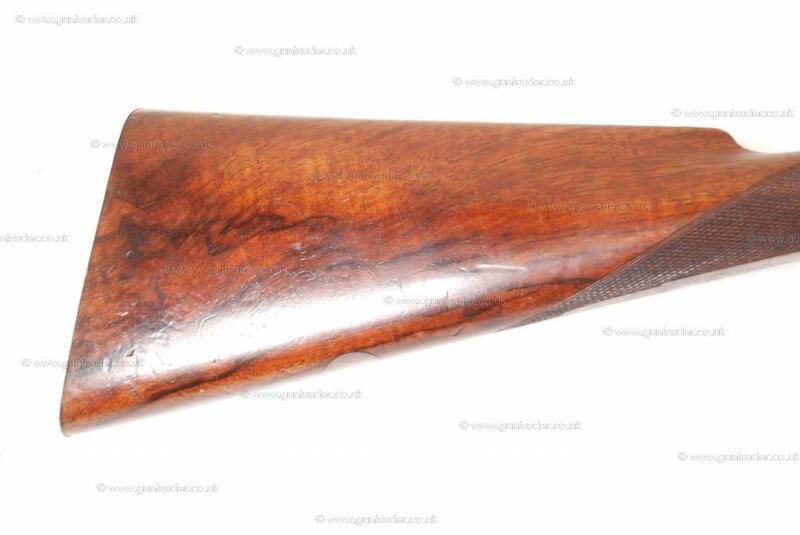 PISTOL GRIP STOCK, SPLINTER FOREARM, HIGHLY FIGURED WOOD WITH EXCELLENT CHECKERING AND FINISH. 1 1/2″ X 2 1/2″ X 14″, PACHMAYER PAD WITH SPACER, 11 POUNDS. 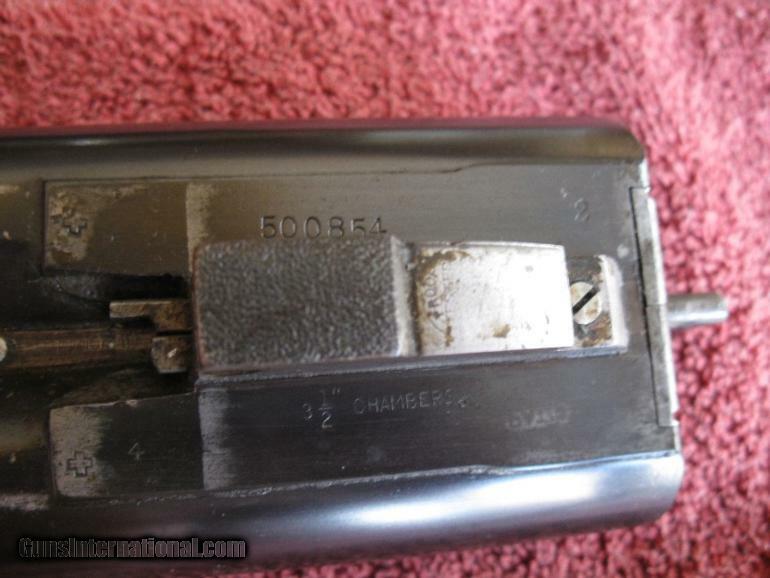 SERIAL NUMBER OVER 500,000. ONLY 164 PRODUCED. CIRCA MID 1930’S. SCARCE GUN. 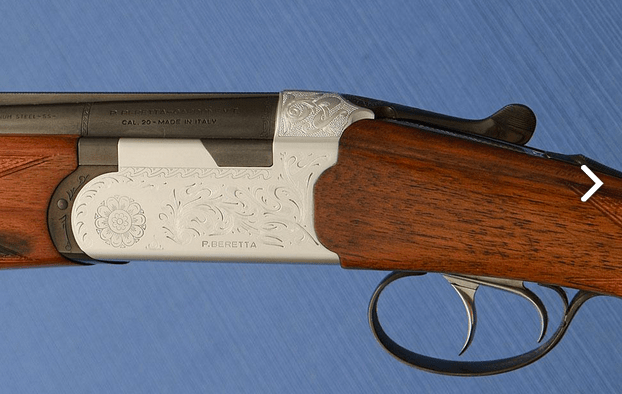 The 2 7/8″ 10 gauge is a load lost to time. 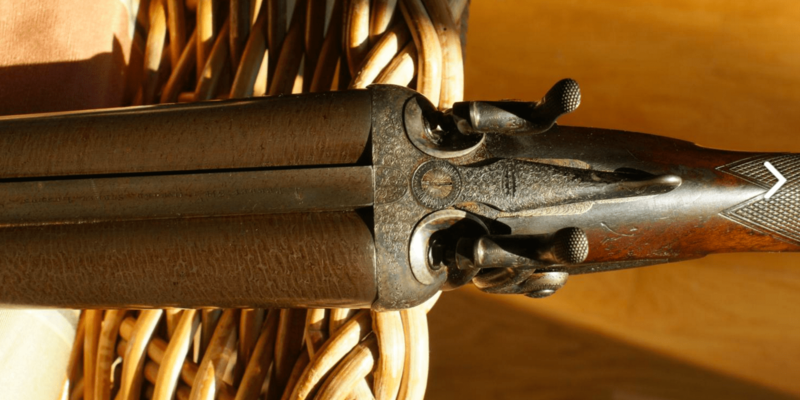 Back in the late 19th century, it was the most popular load in this country and lots of American double barrel shotguns were made to shoot it. 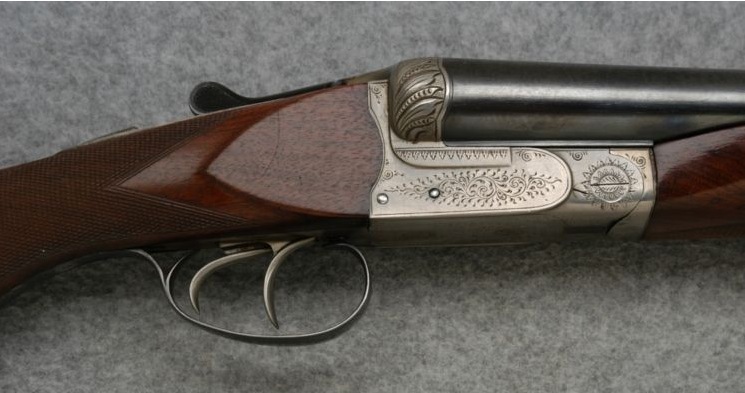 But as powders improved and shooting styles changes, more and more hunters swapped their 10s for 12s. By the beginning of the 20th century, the 10g was pretty much obsolete. While a few were still made, it was a vanishing species. 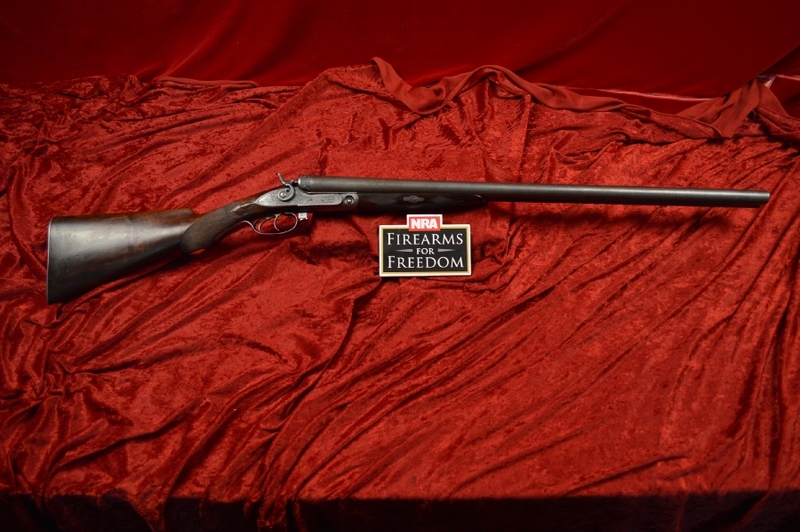 It would be revived a bit when 8 gauge shotguns were banned by the Feds and Ithaca introduced its 3 1/2″, 10g to fill the gap, but it would never reign supreme again. Here’s a 10g L.C. Smith made towards the end of this gauge’s popularity. It’s a beautiful gun, and rare in a Gr. 3. The Gr. 3s were medium quality Smiths and the company made just 3,790 of them. 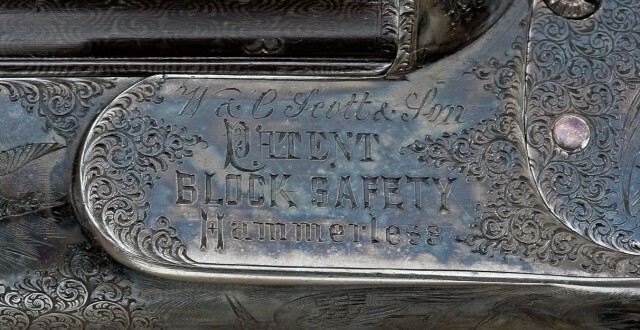 American used to be full of gunmakers, especially toward the end of the 19th century. 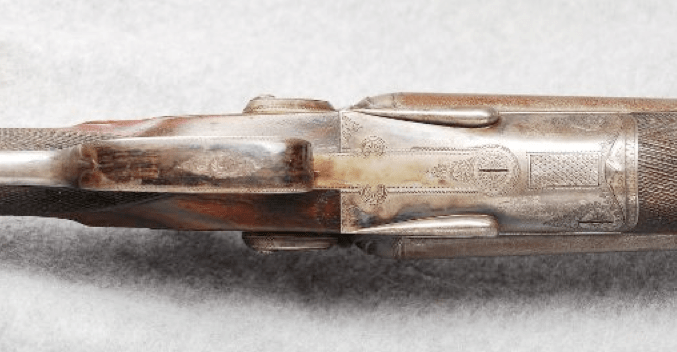 From the big boys like Colt and Winchester to tiny guys like Krider and Tonks, these operations turned out everything from mass-produced pistols to top quality, custom made double-barrel shotguns. Joseph Jakob was one of these tiny guys. Based on 1156 Passyhunk Avenue in Philadelphia, PA, he made guns of the highest order. Very little is known about Jakobs, though. It’s thought that he was around for about a decade — 1870-1880– and there are under 10 known surviving examples of his work in circulation today. These guns are all very hig quality. This side-by-side is an excellent example. 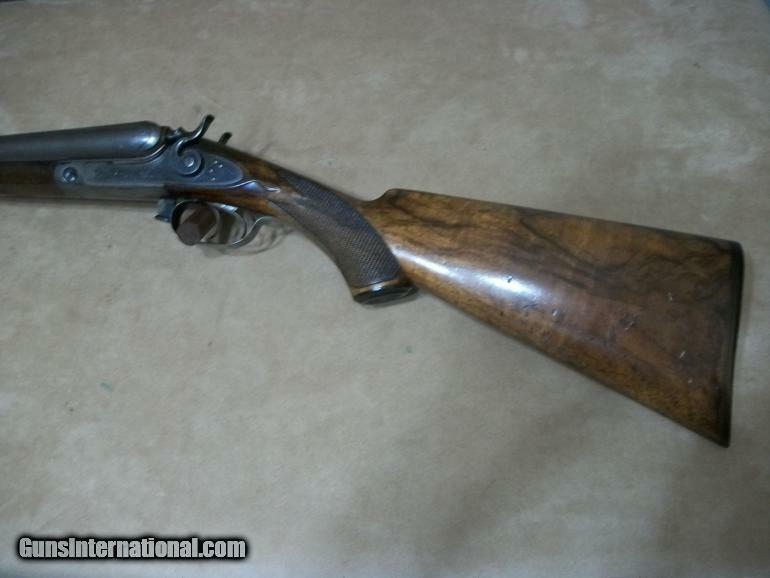 It’s a 10 gauge made around 1880. 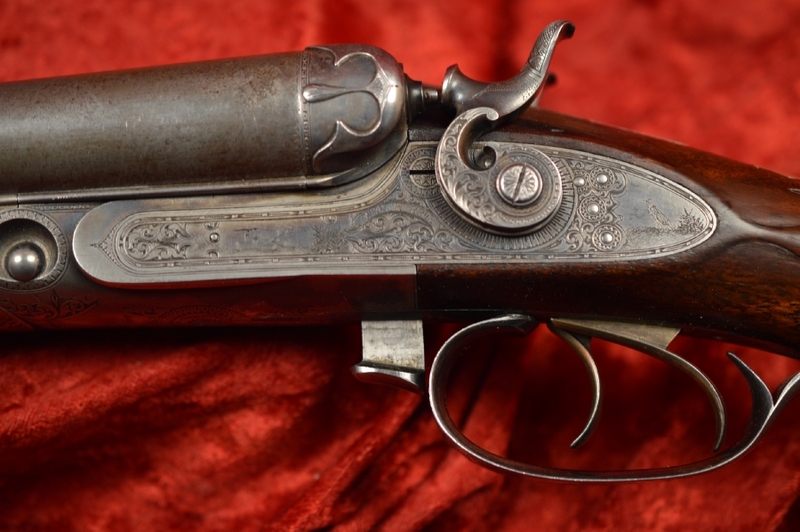 Even though it says JOSEPH JAKOB- MAKER 1156 PASSYUNK AVE PHILADA on the rib (that’s not a typo, btw), the action, barrels, and metalwork on this gun were not made in PA or anywhere else in USA. 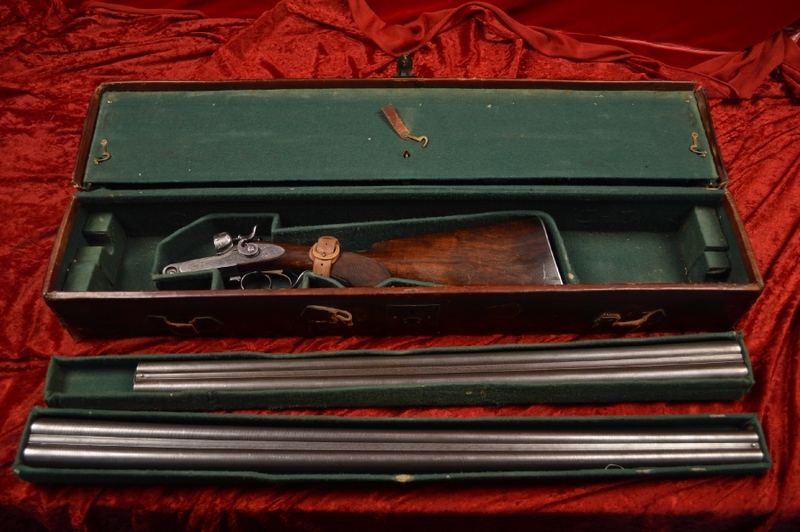 These parts were made in Prussia by Lindner, the famous double-barrel maker behind Charles Daly shotguns. These parts were then shipped to the USA and finished off by Jakob, or by people he employed for the task. This was a common practice and “makers” throughout the US did it with parts they brought in from the UK and Europe. W. & C. Scott is one of my favorite English makers. 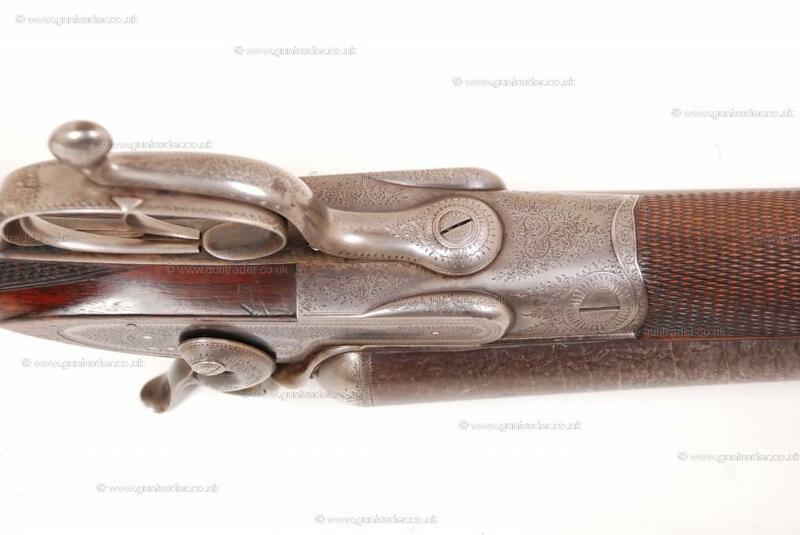 Their guns, especially their early breechloaders, are some of the finest double-barrel shotguns ever made in the UK. For a good chunks of Scott’s history (especially the 19th century), North America was their major market. Thousands of their guns were sold over here, many through an outfit called William Reid & Sons of Boston, MA. 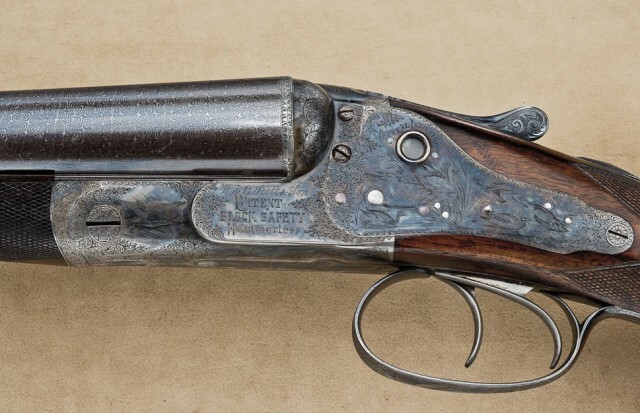 This gun here is a perfect example of the kind of side-by-side shotgun Scott was making, and of how Reid would have outfitted it and presented it to a client. 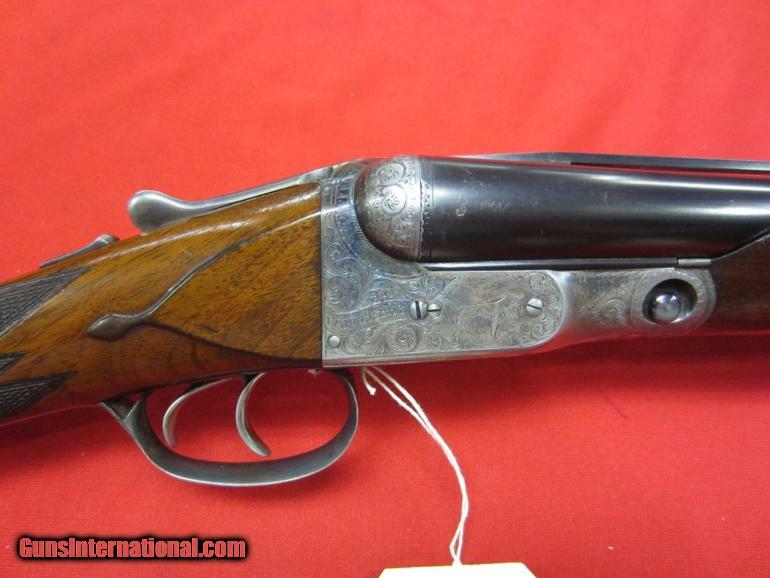 Made in about 1881, this is a hammerless 10 gauge W. & C. Scott Premier in fantastic, all original condition. 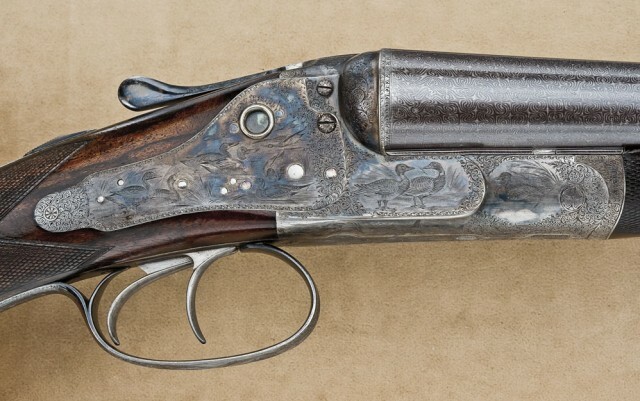 It is a true, Best-quality gun, and when this one was made, it was Scott’s top-of-the-line shotgun. I’m not sure how much it would have cost, but it was very expensive. 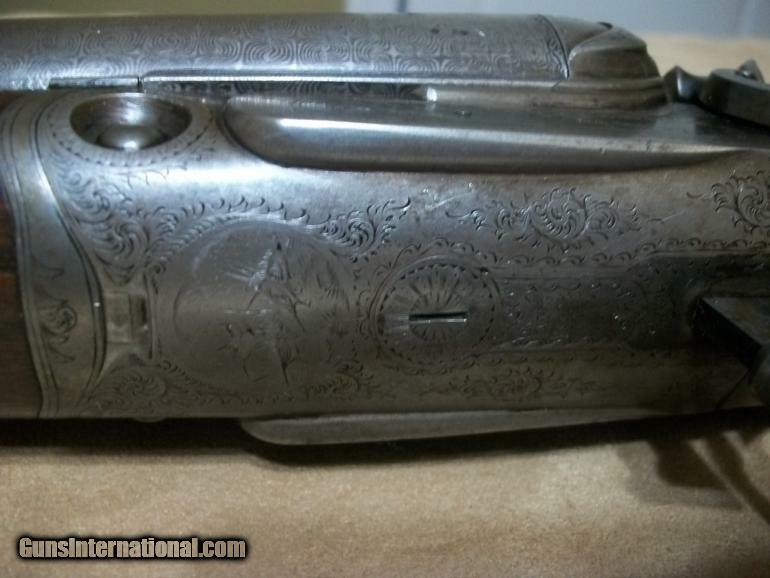 A few things about this gun: the engraving is very stylized. I know the birds look a bit kooky; but in the 1880s, that was how they engraved them. 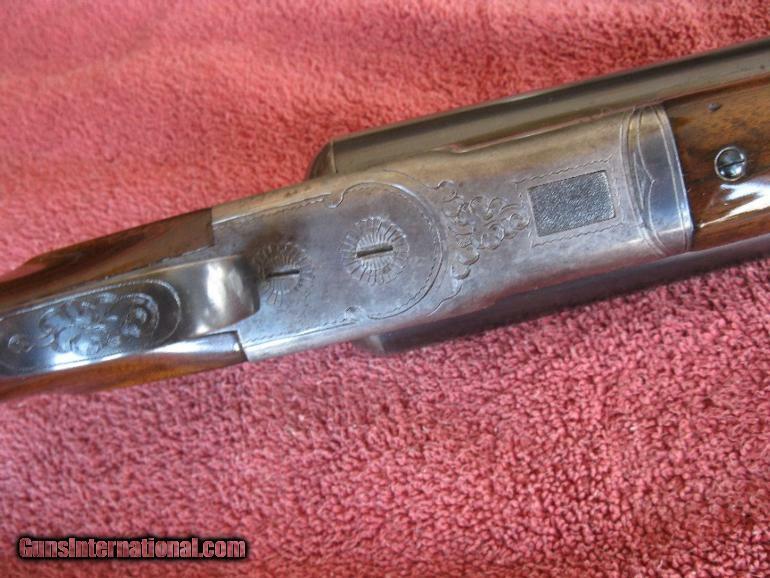 Look at how the forend-iron fits into the action — flawless. And check out how the lockplates fit– again, perfect. 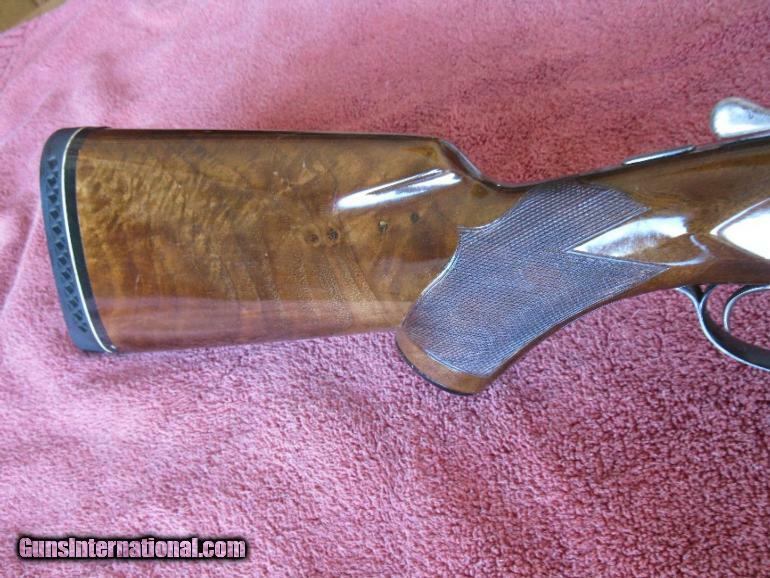 This gun was handmade and it’s amazing to see how well perfect it is. Compared to most brand new, CNC made guns, it’s far nicer. 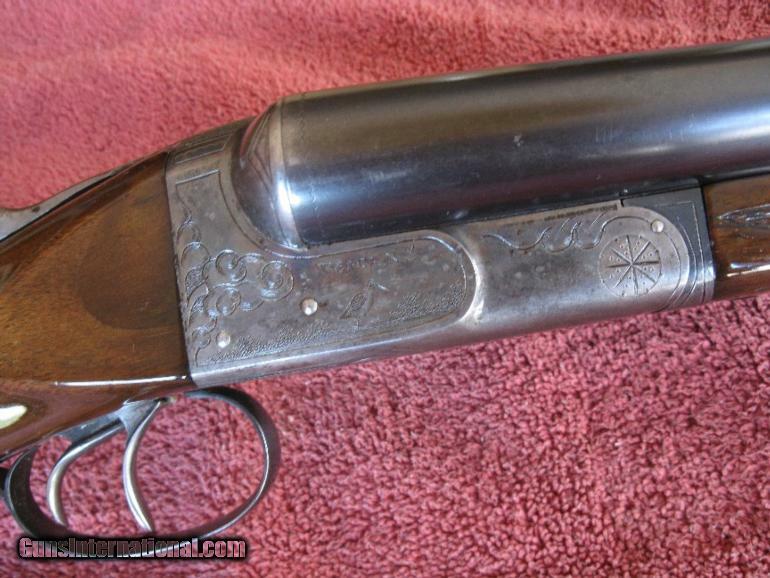 BTW: If you have a W. & C Scott shotgun and you would like to know more about it, please drop me an email. I would be happy to help you out with it. Dogs and Doubles © 2019 All Rights Reserved.